The more often you wash your hair, the faster it becomes greasy. You can follow Kim Kardashian’s advice and wash your hair once every 5 days, “We start with a bouffant on the first day. On the second day, my stylist creates a kind of a careless hairstyle. On the third day, he straightens my hair. On the fourth day, my hair is pulled back in a ponytail and on the fifth day, I wash it.” But stylists have other tricks and secrets. 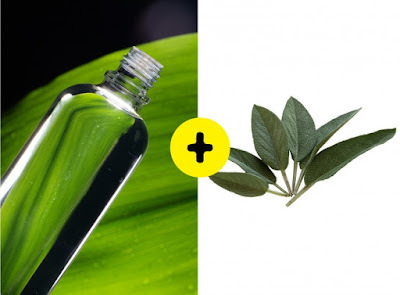 Natural Herbal Medicine gathered 9 tips that can help make your hair stay fresh and voluminous longer. There’s a bonus at the end that explains how to find out the degree of hair damage. Apply shampoo like a professional. 1. Water temperature should be comfortable for you. Stand in the shower for a minute and make sure your hair is already wet. 2. Squeeze out some shampoo (the size of a large coin) onto your hands and rub them together. 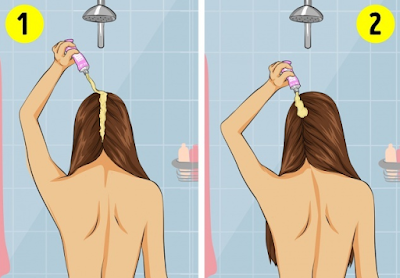 Apply the shampoo onto your head in a circular motion, moving from the top of your head to the bottom. 3. Rinsing takes more time than applying. 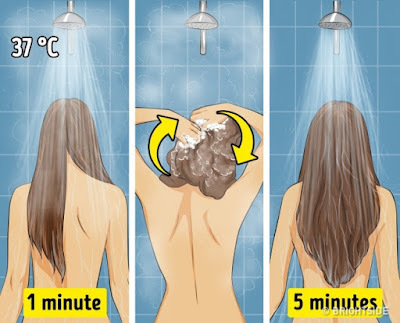 Stylists recommend washing out the shampoo for 5 minutes. Left and dried shampoo particles can cause dull hair color and even the appearance of dandruff. 4. It’s also recommended to rinse hair with cold water in the end. This will lead to the strengthening of hair cuticles and your hair will be able to keep in more moisture and appear shinier. Everyday hairstyle planning with increasing complication lets us wash our hair less frequently and look amazing each day. If you wash your hair every day, you’d better change this habit slowly: as time passes, the intensity of sebaceous glands work declines: there will be no need to restore the skin balance after everyday washing. It’s rather useless to use dry shampoo after a workout: the hair becomes so greasy that we can do nothing with it. You’d better apply dry shampoo before exercises so that it can absorb all of the sweat during a workout. It’s very pleasant for us and useful for hair to sleep on clean pillows. As time passes, pillowcases absorb epidermal cells and old makeup and it creates an enabling environment for bacteria. To support our skin and hair health, we have to change pillowcases at least once a week. And if your hair is greasy, you’d better do it twice a week. A “lemonade” for hair helps fight against excessive greasiness, keep your hair fresh and voluminous, and create natural shine. 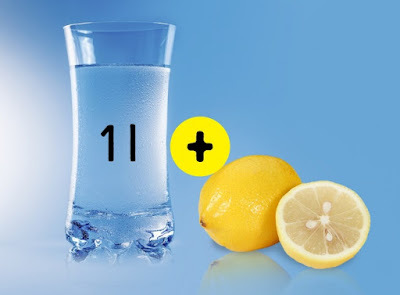 It’s very easy to prepare it — mix juice squeezed out of one lemon with one l of water and rinse your hair with this mixture. It’s recommended to pour it slowly and massage your hair roots with one hand. High hairstyles keep one’s hair fresh longer. 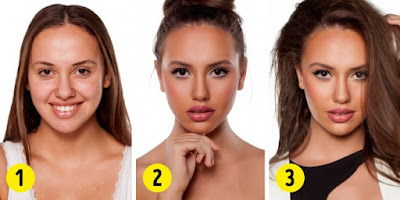 If you’re at home, make a high ponytail or a bun and let your hair down before you go out. This trick will also add some volume to your hair. All “heavy” skin care products (masks, balms, conditioners) are mostly to be used for hair ends. But there is an exclusion: head skin masks. It’s recommended to apply it in pair with deep peeling. Hydrated skin won’t produce any excessive sebum. It’s better not to apply the mask on top of your head but to apply it where your hair parts and massage your skin. Stylist Thomas Taw who works with Sarah Jessica Parker, Blake Lively, Ellen Page, and Jude Law suggests performing a simple test to find out the degree of your hair damage. 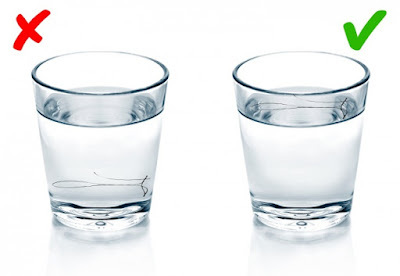 You need to pull out a single strand of hair and put it into a glass with clean water. If it floats on the surface, your hair is healthy, if it sinks, you’re in need of treatment.